The state of Texas is the second largest state in the United States. Texas has one of the greatest economies out of all states in the U.S.
On this article, we will discuss the future of Texas Homeowners near the Mexican/U.S. Border. How Trump’s Border Security Wall is going to affect the future of Texas Homeowners living near the Mexican Border will be covered. 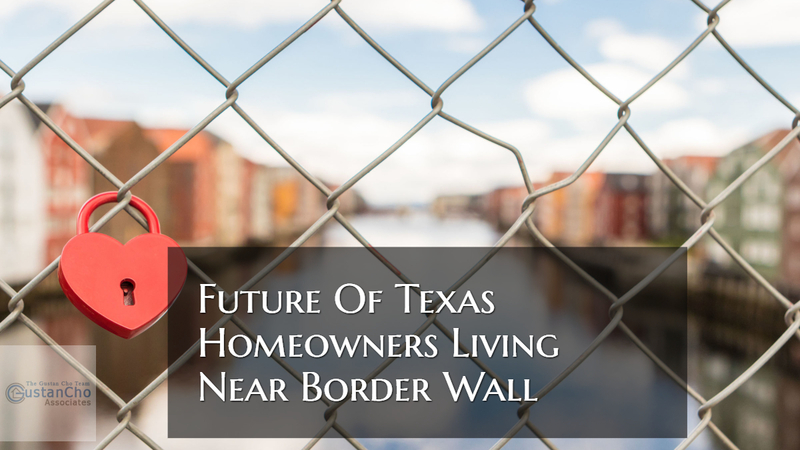 However, there are uncertainty in the future of Texas Homeowners Living Near Border Wall between Mexico and U.S.
What will the future of Texas homeowners living in the South Border bring? In the meantime, the Future of Texas homeowners living near the border remains uncertain. Property Rights For Homeowners In The U.S. Being able to own a home is one of the greatest benefits given to us as Americans. Most people’s biggest investment is their home. Most homeowners do not consider their house as a property but rather a home. A home is where you raise your kids. A home is where memories are made. Many homeowners do not care in making countless of money from the sale of their homes. As far as they are concerned, their home is not for sale for any specific dollar amount. There are homeowners who have owned their homes for generation after generations. At the time, Senator Ted Cruz was criticizing and voicing his opinion against the U.S. Bureau of Land Management action on the Red River. Politicians are taking private ownership rights very seriously. For whatever reason, such deep respect for private property rights seems to go out the window when it comes to plans for 25 miles of border levee barrier in Hidalgo County and another 8 miles in Starr County. This is a small piece of President Donald Trump’s border wall, which will cut right through private property about a mile north of the border. There are many farmers who own acreage near McAllen Texas. McAllen is near the Rio Grande. Many farmers own farms they inherited by their parents, grandparents, and great grandparents. Some own farms that are over 1,000 acres. Many homeowners living near the Southern U.S./Mexico border are concerned about security. They often witness many illegal aliens crossing the border. Majority of them are concerned with Border Security. However, they do not want a gigantic 30 to 50 feet wall facing their backyards. What will it do to property values? Will they ever be able to sell their properties? What will life be like after the government built the wall? Will family members and residents be safe? Will the border protection be secure or was it just for show and political reasons? How will building the border security wall affect wildlife? Both parties, Democrats and Republicans in Congress are advocating border security without building a physical wall. For example, U.S. Republican Congressman William Hurd and many Democrats are proposing using technology such as drones, sensors, and other high tech tools along with manpower versus building the wall. They are laughing at President Trump’s border wall idea. The President pledged in building the Wall during his Presidential Run and does not seem like he will be backing down. There is no opposition that Texas homeowners will be affected when the government starts building the wall in full force. The construction of the border wall will be cutting through private property lines a mile north of the border. This will put some homes and property on the South Side of the Wall. This means Americans will be living in Mexico. The future of Texas homeowners living near the U.S./Mexico Border remains uncertain. Gustan Cho Associates Mortgage Group will be covering this topic in days, weeks, months to come. We will keep our viewers updated on current news.